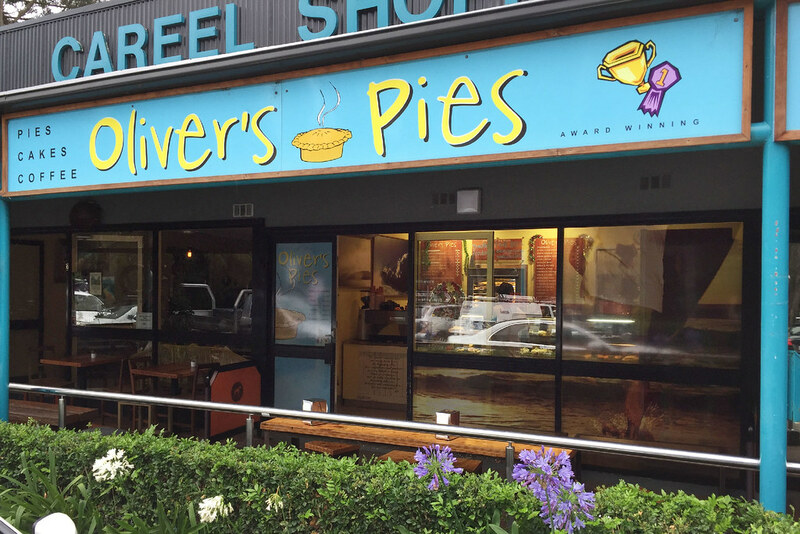 Oliver’s Pies is one shop in a tiny “shopping village” consisting of this pie shop, a pizza place, and a chicken and burger joint, on Barrenjoey Road as you head north in Sydney towards Palm Beach. 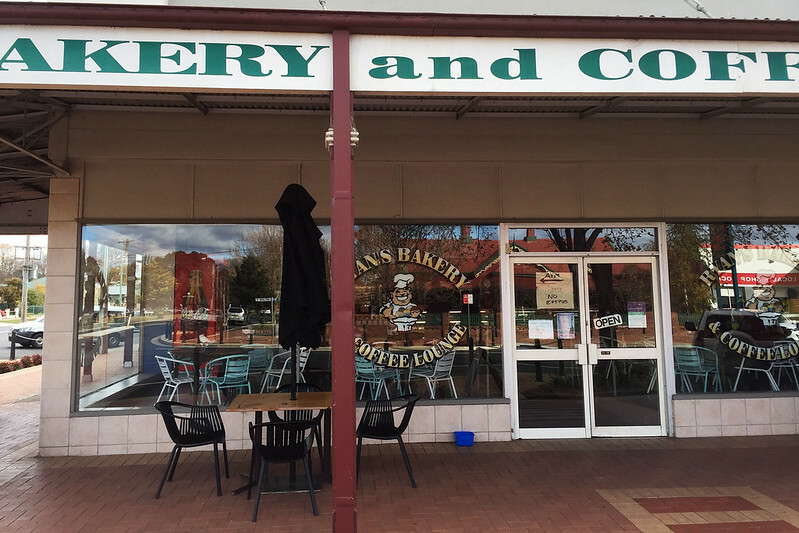 I pulled into the tiny car park (holding about a dozen cars) around 11 am and found that Oliver’s not only makes a wide selection of pies and sausage rolls, but also several sweet treats, including chocolate eclairs, custard tarts, apple pies, and vanilla slices! So naturally the choice from the menu was dictated. The place was rather popular, even at 11am with plenty of customers pulling up in the car park and picking up a pie. The pie of the day was smoked fish, which sounded intriguing, and I would have tried it had I not been moderately full already from a large breakfast. 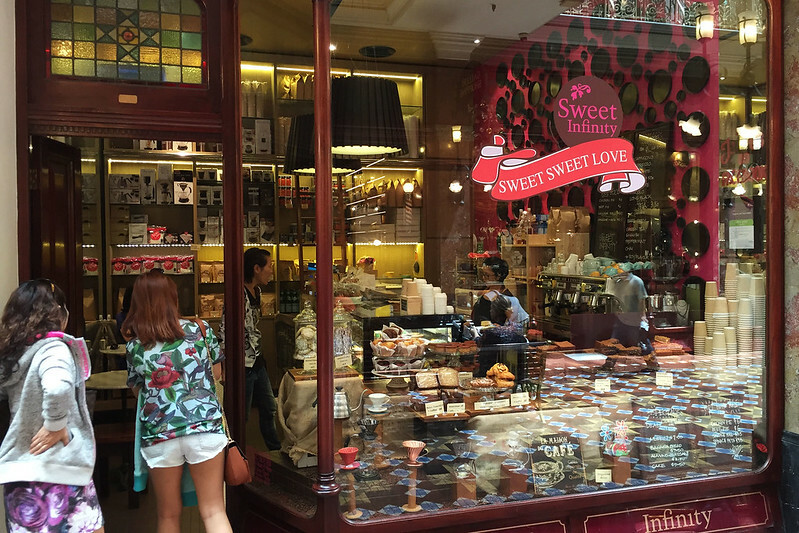 This is a tiny cafe in the upmarket Strand Arcade in the heart of Sydney. The Strand is an historical Victorian era shopping arcade, lovingly restored and full of quaint little shops that offer exclusive services such as bridal fashion, jewellery, antiques, high fashion, millinery, a shoe maker (an actual workshop with a guy hand-making shoes from large sheets of leather), fancy chocolates, cigars, a shoe-shine service, and a barber with fully reclining chairs on which men lie back and have their faces lathered for a cut-throat shave. Amidst this, Sweet Infinity offers tea and coffee, and a selection of fancy looking and lovingly made baked goods. Mrs Snot Block and Roll and I looked in a few months ago and noticed that they serve pies and sausage rolls, as well as various cakes and slices, including a vanilla slice. So we stored it away in our memories for another day. Today was that day. 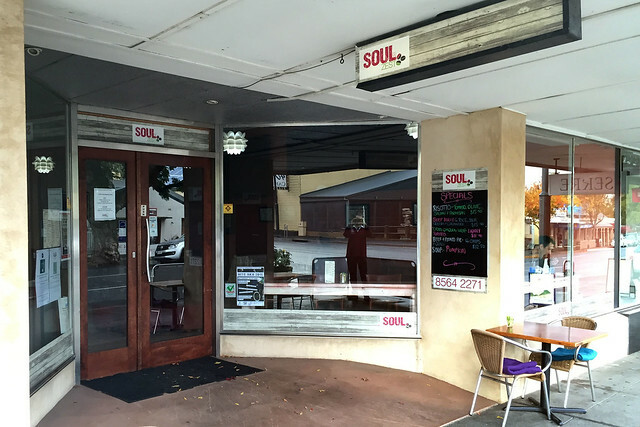 This is really a cafe doing breakfasts and light meals throughout the day, not a bakery. However they had a very interesting looking vanilla slice sitting in the cake counter, so I took the plunge and added one to my breakfast order of muesli with fruit and milk. I was attracted by the different appearance. This slice had three layers of pastry, with custard filling the gap between the lower two, and an equally thick layer of what looked like whipped cream or buttercream between the upper two. The whole was topped with a thick glossy layer of light brown icing decorated with white and darker brown diagonal lines.